During the so-called Toyota War in 1987, forces loyal to Chadian president Hissene Habre fought the Libyan army … and won. In early January 1987, Chadian troops carried out a devastating attack on the city of Fada, killing 784 Libyan troops and capturing six SF.260 light strike planes, one Mi-25 gunship, 13 T-55 tanks, 118 BMP-1 armored vehicles, one P-15/Flat Face radar and 81 soldiers. In addition, the Chadians shot down a Mi-25 on Jan. 4 and a MiG-23 on Jan. 5. All that captured equipment represented a potential intelligence boon for the United States. As the fighting died down, the Pentagon went shopping in Chad. Following the fall of Fada, Libyan strongman Muammar Gaddafi ordered the mobilization of all reservists and deployment of additional reinforcements to Chad. More than 4,000 troops concentrated in the Ouadi-Doum area alone, where they built an elaborate system of all-round and in-depth defenses to protect the air base that sometimes accommodated up to 20 Libyan aircraft and helicopters on a temporary basis. 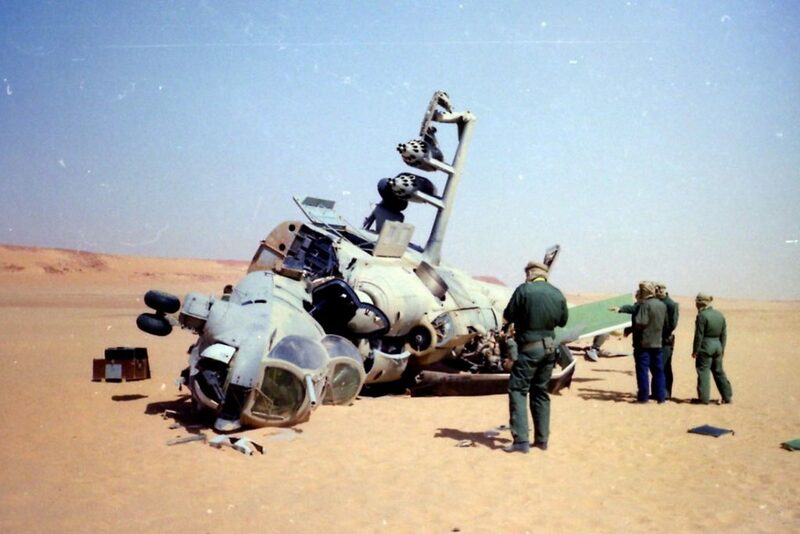 On March 19 and 20, 1987, Chadian forces led by Hassan Djamous ambushed two Libyan mechanized battalions near Bir Koran, around 30 miles southeast of Ouadi-Doum, killing 851 men, capturing 130 and shooting down an SF.260 and an Mi-8 helicopter. As the surviving Libyans fell back to the north, Djamous launched a pursuit. The Libyans fled to Ouadi-Doum, revealing gaps in minefields and showing their pursuers the way. Djamous ordered his force to attack. An Mi-25 and an SF.260 that attempted to scramble were both shot down. Ouadi-Doum became a synonym for Libya’s military catastrophe in Chad. 1,269 Libyan army troops died and 438 – including zone commander Col. Khalifa Haftar – were captured. The list of equipment that was destroyed or captured was a long one. The Libyans lost 89 tanks, including 42 T-55s and 12 T-62s that the Chadians captured, along with 120 BMP-1s and 400 other vehicles destroyed or captured. The Libyans also lost 11 L-39 jet trainers, 12 SF.260s, two An-26 transports, four Mi-25s, five Mi-8s, two SA-6s air-defense missile launchers, two ZSU-23-4s and immense supplies of fuel, water and ammunition. The Chadians liberated Faya Largeau without any fighting on March 27, and Ounianga Kebir three days later. The fall of Ouadi-Doum and Faya Largeau not only caused another shock in Tripoli, but an outright outcry from Moscow, which demanded that the Libyans destroy as much of their abandoned equipment as possible. The Libyan air force bombed Ouadi-Doum air base several times a day for the following several weeks. The amount of modern, Soviet-made military equipment captured intact at Fada, Ouadi-Doum and Faya Largeau raised eyebrows all over the world. As soon as Libyan air strikes ceased, the Americans launched an operation with the aim of extracting captured L-39s. This task was accomplished by technicians who deployed to Ouadi-Doum on a U.S. Air Force C-130 on May 6, 1987. They dismantled seven jets and loaded them on to the C-130 for transport to N’Djamena, one by one, every day over the following week. The removal of captured radars and missiles proved much more complex, and an agreement was reached in September whereby the Americans and French were allocated the same number of SA-6s and SA-13s. Because the French had already received the P-15 captured at Fada, the Americans got the P-19 captured at Ouadi-Doum. All of this equipment was flown out by USAF C-5 transport. Missiles and radars destined for France were delivered straight to the French air force’s test center at Mont de Marsan. The final extraction operation involved two captured Mi-25s. The one at Ouadi-Doum was taken over by the Americans, who paid the Chadians $2 million and also delivered a batch of Stinger missiles. The French took away the Mi-25 shot down by the FANT during the Battle of Fada. Negotiations between French, American and Chadian government took time, and the recovery operations for the two gunships began in 1988. Operation Bizet took place between Jan. 1 and Jan. 9, 1988. 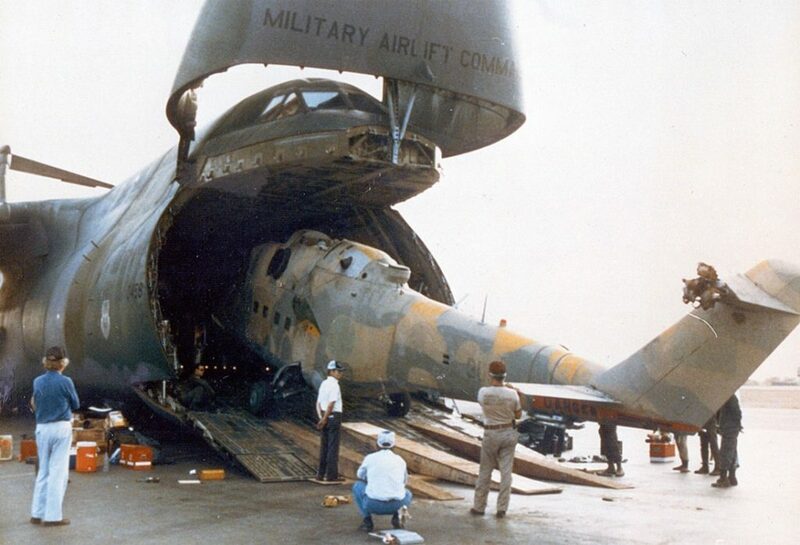 French technicians disassembled the Mi-25 on site and brought it to N’Djamena, from where it was flown to France by a USAF C-5. The 8th Marine Infantry Parachute Regiment was in charge of the security of the site and ended its mission on Jan. 10. Operation Mount Hope III began five months later and was a little more complicated, as the precious Mi-25 was still parked at Ouadi-Doum air base. Indeed, tensions remained high because French intelligence had warned of significant troop movements in southern Libya. 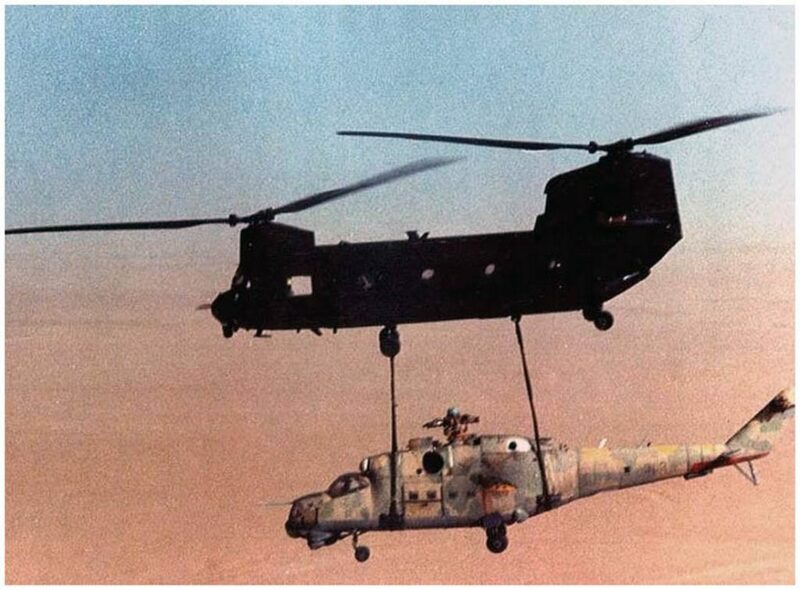 Around midnight on June 11, two CH-47 helicopters from the U.S. Army’s 16oth Special Operations Group flew nearly 500 miles from the Chadian capital to northern Chad without a refueling stop. They arrived at Ouadi-Doum at approximately 5:00 in the morning. The return flight was different because it was performed during daylight hours and required refueling at Faya-Largeau and Mousorro, before the most difficult leg of the entire mission toward N’Djamena. On arrival in the Chadian capital, the crews were caught in a sandstorm that lasted 20 minutes. The 160th SOG completed the mission within 67 hours. The Mi-25 and the two CH-47 Chinooks were loaded in the C-5 and arrived in the United States within days.